Acrylic slatwall shelving for creative displays! Economical slatwall acrylic shelves can be used individually or side by side. 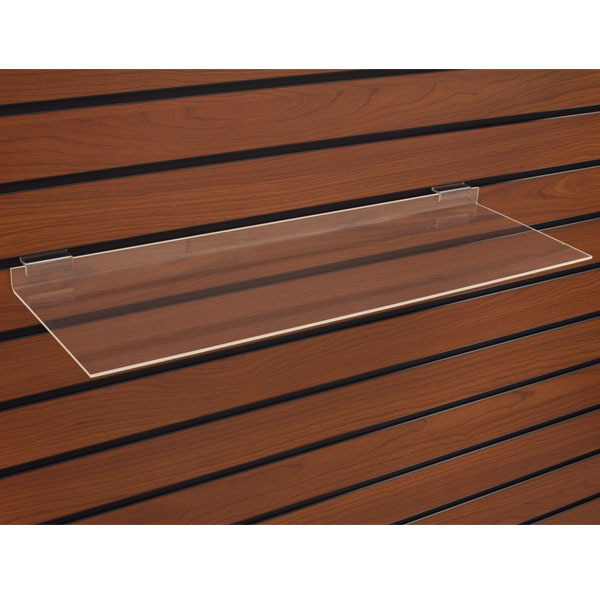 Use this slatwall shelving to merchandise a variety of merchandise from Candy, DVDs to Shoes. For many more products, we invite you to take the time to browse our entire assortment of slatwall shelving at Specialty Store Services today.